Nowadays, fewer roofers are able to remove or repair stone ballast roof systems because of the tools and amount of work required. Call the Roofworx roofing contractors anytime at 817-964-9231 when you need roof rock removal in D’Hanis, TX! Talk to our roofing contractors today to find out more about our roof gravel vacuum and ballast stone removal services near you. Let Us Remove Unwanted Roof Ballast! 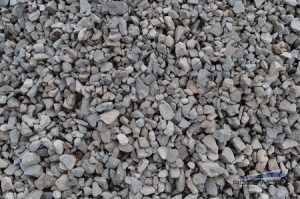 Stone Ballast Removal: If your flat roof needs fixing but is covered in gravel, don’t hesitate to call us for fast, cost-effective stone ballast removal. These large amounts of rock or gravel help protect your roof from hail and sun damage and uplift from wind. Roof Vacuuming: Though it sounds unusual, roof vacuuming is a highly efficient method when it comes to roof rock removal. Not only is this method quicker and more affordable, it is also less disruptive! With the faster method of roof gravel vacuuming, it does not leave your roof exposed to damage from sun and moisture like it used to. With roof rock vacuuming and other innovations, ballast removal is now significantly more affordable and efficient. If you are getting your aging ballasted roof replaced, you can choose to keep the ballast stone or have it removed. If you need roof rock vacuum services in D’Hanis, TX, just give our contractors a call at 817-964-9231. Updated on March 29, 2017 at 7:32 pm by Roofworx & General Contracting.